Buenos Aires has put to the test the adage “Anything that can go wrong, will go wrong”, also known as “Murphy’s Law”. Instead of following a safe and transparent process, the capital of Argentina is undergoing an e-voting selection and adoption process that has brought trouble upon it –possibly a lot of trouble. After the city decided to implement electoral technology in late 2014 and called for a tender process in order to implement e-voting during the April 26 primary elections and the June 5 general elections, it is now facing doubts and suspicion coming from different angles: the tender process has gathered several accusations, the selected electoral technology does not automate voting but only tallying, and the electoral calendar is starting to overlap. 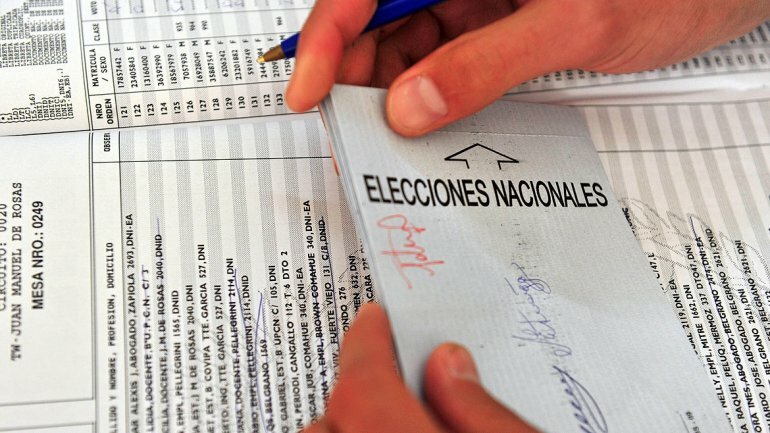 The process’s black spots started with the tender process in which MSA (Magic Software Argentina) was selected to automate elections for Buenos Aires. Politicians and even social activists found it suspicious to award the contract to a company that had previous connections with the city’s government, as well as the fact that the tender process was practically tailored to the company’s needs, essentially dismissing all competitors in spite of their possible superiority. To understand the suspicions cast over the selection process, it suffices to mention that Smartmatic, the second company to bid on this tender, is well known for offering technology capable of automating 100% of the voting process, while MSA offers devices that only automate tallying. Although Smartmatic presented a more cost-effective bid and has implemented e-voting in countries as dissimilar as the Philippines, the United States, Belgium, and Venezuela, while MSA has only worked in Argentina—and in a pilot test in Ecuador—, Smartmatic was immediately and unceremoniously discarded. Besides, instead of adopting a technology model that really did automate suffrage, the Buenos Aires government decided to simply replicate the technology used by MSA in Salta, Córdoba, and Santa Fe—a model known as the electronic ballot box with smart ballots, which is not a comprehensive e-voting solution but a device designed to automate tallying only. This means that the authorities have chosen to use a technology that does not solve the problems entailed by manual voting, instead of opting for a model that offers the complete array of benefits that electronic voting brings. As if the accusations weren’t enough, implementation is also in jeopardy. More and more people are warning about the suspension of the electronic ballot box altogether, as the electoral calendar has already begun and there is no plan to complete the key stages of e-voting implementation. For example, there has been a warning that the company and the authorities won’t be able to guarantee a suitable deadline for technician and voter training for the primary elections (at least three months), as nothing is known about the process two months away from the elections. There is a possibility that automation is altogether suspended for this event. The outlook in Buenos Aires is desolate, but there can always be a light at the end of the tunnel. The future of voting in the city depends on the authorities rectifying and beginning a process that abides by the highest standards and not by political interests, where the company’s experience and ability to offer an e-voting model adjusted to legal, technical, financial needs, as well as those related to idiosyncrasy, prevails. Venezuela uses devices from the SAES 4000 series by Smartmatic, which enable voting for people with disability. The progress of technology, aside from facilitating and improving processes in numerous realms of human endeavor, is also useful to expose governmental negligence. Next May, Spain will hold municipal and autonomous elections. Although the nation has been running tests and analyses for years in order to take steps into e-voting, in recent weeks authorities have acknowledged that people will disabilities will not be able to exert their right to suffrage in the upcoming elections. The Executive Branch has pointed out that it is “technically impossible” to use a voting system accessible to people with visual impairments, due to the large number of candidacies in the 8,116 municipalities that will go to the polls this time. 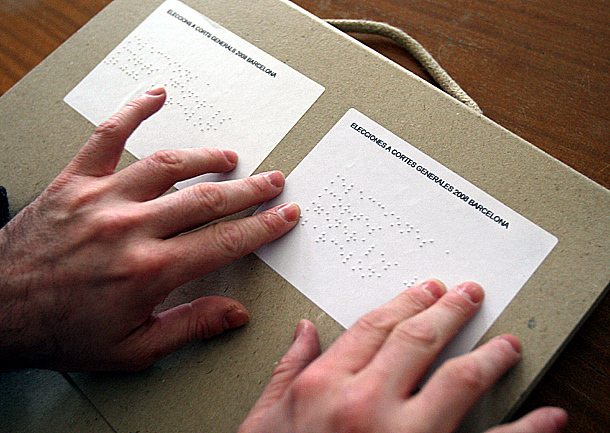 The government has even mentioned that the Organic Law of the General Electoral Regime (LOREG) contemplates just one specific voting procedure for the visually impaired (ballots in Braille), but only for general elections, European elections, and referenda; thus leaving out municipal elections, and altogether excluding voters with disabilities other than visual impairment. This recent official statement is at odds with the fundamental rights of members of any society; worse yet, knowing that in other parts of the world technology has contributed to balance the exercise of suffrage. Physical or sensory disabilities no longer pose a restriction for voters to cast their ballots and benefit from the right to vote in an universal, free, direct, secret, and equal manner. Aside from representing the best option for citizens to gain access to fast, reliable, and transparent elections, e-voting has bestowed a new meaning to equal suffrage. It has offered autonomy to voters with physical disabilities (motor disabilities, limb impairment, absence of limbs), as well as sensory ones (visual and hearing impairment). For example, the US and Venezuela employ vastly different voting models, but they both have implemented equipment supporting the Braille system for visually impaired voters and providing headphones for illiterate voters, as well as “sip and puff” tools to facilititate suffrage for people with motor problems. In Spain, e-voting has had numerous trials. The first one took place in 1995 and the latest one in 2011 in Castellón, Ceuta, Huesca, and Merida. However, no autonomous community has been able to take the initiative and regulate automation. 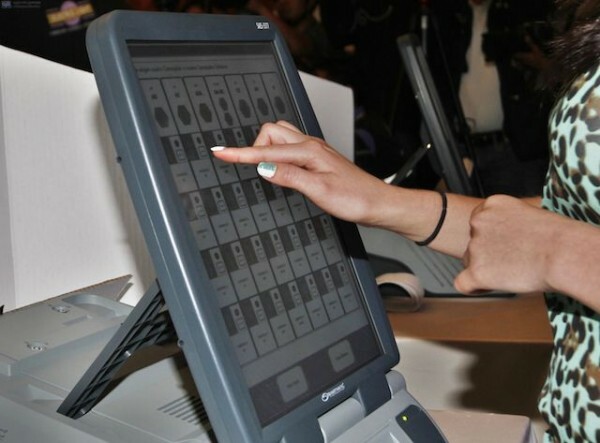 Electoral technology has made the assisted vote possible thanks to a new generation of cutting-edge machines; e.g., touchscreen devices with Braille system for people with visual disability to vote on their own, or devices with headphones where the machine reads the contents of the ballot in as many languages as required. Moreover, there are interfaces that enable ballot navigation using “sip and puff” devices, so that voters with motor limitations can browse through options in the ballot. There are no excuses for discrimination. What Spain and other nations require is the resolve and a sense of equality in the exercise of suffrage, as technology is available to guarantee every citizen’s right to vote. It is time to acknowledge that people with any kind of physical impairments have the same rights to vote as anyone else. Direct Recording Electronic is a technology that enables voters to mark their votes on a touchscreen or keyboard equipment. A study conducted in Peru by the National Office for Electoral Processes (Onpe) shows how electoral technology advances firmly in improving electoral practices, and also in strengthening the guarantees that countries and their citizens require to go to the polls. This document highlights that there is “an international consensus over the need to gradually and carefully implement certain technologic solutions geared toward the automation of electoral processes,” and it also underscores the penetration rate of e-voting in Latin America. It points out how an automated model, Direct Recording Electronic (DRE) is the most implemented in the region. According to Onpe’s research, countries like Brazil and Venezuela —which have a long history of e-voting implementation— as well as Mexico (Jalisco state) and Peru —with automated suffrage prototypes— have chosen DRE instead of other e-voting modes due to its many benefits, which range from ease of use and adjustability to the possibility of shielding each stage of the process (audits). The system also brings the possibility to automate elections in their entirety (voter identification, vote collection, tallying, aggregation, and transmission of results). This system consists in “casting ballots directly on an electronic device through a touchscreen, buttons, or similar instruments. Information about each vote is stored in the computer’s hard disk, on a diskette, a compact disk, or a smart card.” It is different from other models in that it transmits all the votes at once at the end of the electoral event. Thus, it does not require network connectivity during the elections, and enables a fast and safe tallying at the end of the day. One advantage offered by some DRE systems is the emission of a paper receipt after each vote, known as a Voter Verified Paper Trail (VVPT). This represents a valuable mechanism that enables voters to verify in real time that the vote recorded by the device is the same as the one printed by the machine. This option opens the possibility to compare printed votes with the automated tally reflected on the minutes at the end of the electoral process or even at a later date. Onpe also mentions other nations, like Colombia and Ecuador, which are currently considering the implementation of an e-voting model based on DRE technology. However, they are also studying PCOS (Precinct-Count Optical Scan), which is based on the use of a ballot box with an optical scanner that identifies ballots and processes votes in order to count them automatically. This makes it an automated tallying technology, rather than an automated voting one. The only country in the region that has partially implemented this other voting technology is Argentina. The study mentions that electoral technology is available, and that there are several successful implementation experiences. However, it also draws attention on the need for nations willing to modernize their suffrage to follow protocols in order to guarantee a safe and transparent implementation, and not to join the list of countries whose authorities put voting at risk by succumbing to the interests of just a few.